WE ARE AN AUTHORISED DISTRIBUTOR OF STORZ & BICKEL. MIGHTY PORTABLE VAPORIZER. The MIGHTY is a portable, battery powered and dynamic Vaporizer. 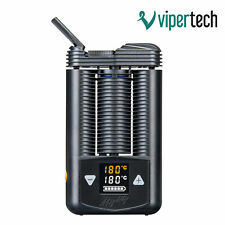 MIGHTY VAPORIZER, 1 pc. normal screen set, 1 pc. liquid pad, 1 pc. Easy Valve Starter Set for Volcano Classic & Digit by Storz & Bickel. The Easy Valve Starter set is the easiest accessory for the Volcano Vaporizer. Easy Valve Starter kit disposable valve set allows the health conscience user to enjoy vapour easily. WE ARE AN AUTHORISED DISTRIBUTOR OF STORZ & BICKEL. 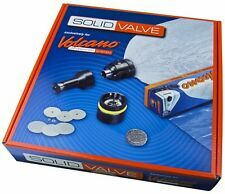 VOLCANO CLASSIC WITH EASY VALVE. 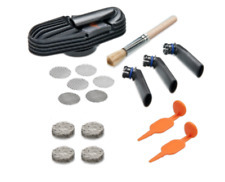 Valve balloons and mouthpieces are maintenance-free and always connected ready to use. VOLCANO CLASSIC hot air generator, 5 pcs. WE ARE AN AUTHORISED DISTRIBUTOR OF STORZ & BICKEL. CRAFTY PORTABLE VAPORIZER. The CRAFTY is a portable, battery powered, pocket Vaporizer. CRAFTY VAPORIZER, 1 pc. normal screen set, 1 pc. 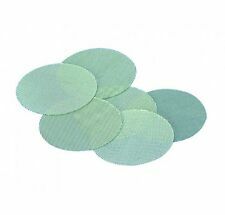 liquid pad, 1 pc. Genuine Storz & Bickel Accessory. Speak to a Vaporizer Specialist. Use with Volcano, Crafty, Mighty, Plenty. Need it fast?. Age Verification Great Prices! Your credit card number is not saved once your order has been processed. 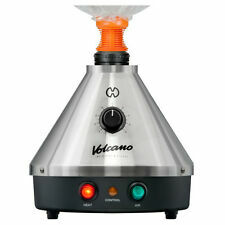 Mighty Vaporizer Complete Kit By Storz & Bickel - A Portable Volcano. You can fill dry material into the Dosing Capsules in advance. The Filling Set for 40 Dosing Capsules is designed for the simultaneous filling of a larger amount of Dosing Capsules. The included Plunger facilitates closing the Capsules additionally. Contains: Fill 40 capsules in one go XL Herb Mill Digital scale Magazine with 8 Dosing Capsules Dosing Capsule Set (40 pcs.) “I have an effective age verification process that satisfies due diligence as described in the Business Companion guide for online age verification checks and will not sell to persons that are under 18 years old”. CRAFTY Cooling Unit for CRAFTY Vaporize Vape By Storz & Bickel. This is very important to the quality of the vape cloud and the smoothness of the vapor. 1 Cooling unit with Mouthpiece. Purity, Flavour and Effect. Speak to a Vaporizer Specialist. Need help deciding which Spares are best for you?. Need it fast?. Your credit card number is not saved once your order has been processed. Age Verification Great Prices! The Easy Valve balloon and O-Ring adaptor for the application with the Volcano Easy Valve filling chamber. The Easy Valve is characterized by very easy handling and minimal maintenance work. Many people requested a that they could make the balloons themselves so Storz & Bickel have adapted the Easy valve balloon. 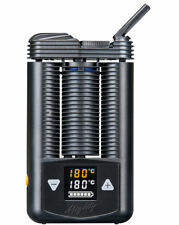 Storz & Bickel are proud to present on of the best vaporizers on the market, the Mighty! This handy pocket sized portable vaporizer is perfect for any experience level in aromatherapy. It is used by simply adding your dry herbs or plant matter into the heating chamber. 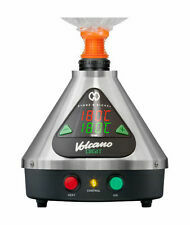 Storz and Bickel present the Volcano Vaporizer, the leading desktop vaporizer on the market and is well respected across its competitors. As well as the product looking sleek and professional, it is also very technologically advanced. You can fill ground herbs into the Dosing Capsules in advance and store them in the Magazine. 1 pc. Magazine 8 pc. Dosing Capsule “I have an effective age verification process that satisfies due diligence as described in the Business Companion guide for online age verification checks and I will not sell to persons that are under 18 years old”. Need it fast?. Your credit card number is not saved once your order has been processed. Need help deciding which Spares are best for you?. Speak to a Vaporizer Specialist. Solid Valve Balloon Roll. Balloon consists of highly pure and robust heat proof polyester. Need it fast?. Your credit card number is not saved once your order has been processed. We always resolve issues! Changed your mind?. No problem! Speak to a Vaporizer Specialist. Filling aid for the filling chamber of the Mighty and Crafty Vaporizers. Crafty & Mighty Filling Aid. Filling Aid. Need help deciding which Spares are best for you?. Need it fast?. Overview You can fill liquids and oils into the Dosing Capsules in advance and store them in the Magazine. Scope of delivery 1 pc. Magazine 8 pcs. 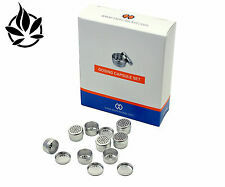 Dosing Capsule 8 pcs. Drip Pad for Dosing Capsules "I have an effective age verification process that satisfies due diligence as described in the Business Companion guide for online age verification checks and I will not sell to persons that are under 18 years old." Fantastic quality orange 3 part Storz & Bickel plastic grinder. Features shark teeth for a fine grind and large twist off stash. XL Grinder. Need it fast?. Your credit card number is not saved once your order has been processed. A complete Set of Screens for the Crafty Vaporizer suitable for vaporizing. Speak to a Vaporizer Specialist. Crafty Screen Set. Need it fast?. Age Verification Great Prices! Your credit card number is not saved once your order has been processed. It will need to be yourself who accepts the order and if you are unavailable you will need to collect your order from your local depot and provide ID upon collection. By purchasing this item you are confirming that you are over the age of 18 years old. 1x Crafty Vaporizer. Due to its cooling unit you can always expect smooth and cool vapor. 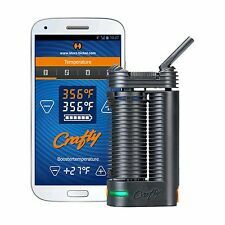 If your looking for a consistent vape experience look no further than the CRAFTY from Storz and Bickel! We think the Mighty and Crafty are miles ahead of their competitors Pax and you will too! Speak to a Vaporizer Specialist. Need it fast?. Need help deciding which Spares are best for you?. This bag fits the Classic and Digital Volcanos, however, only on the solid valve range. This product is great for all aromatherapy needs! We have a high standard of age verification checks and due diligence.